We have a variety of Offers for you to take advantage of. Whether your brand new to Flame Hair Studios, an existing customer or a born again Flame client, we have something for you! Come in and meet us! We love meeting new clients, so here's 15% off to come and enjoy on your first experience with us. 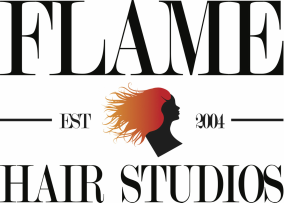 We're sure you'll want to be part of the Flame Hair Studios family. Just print this page off circling your discount voucher or show this on your phone when you pay. 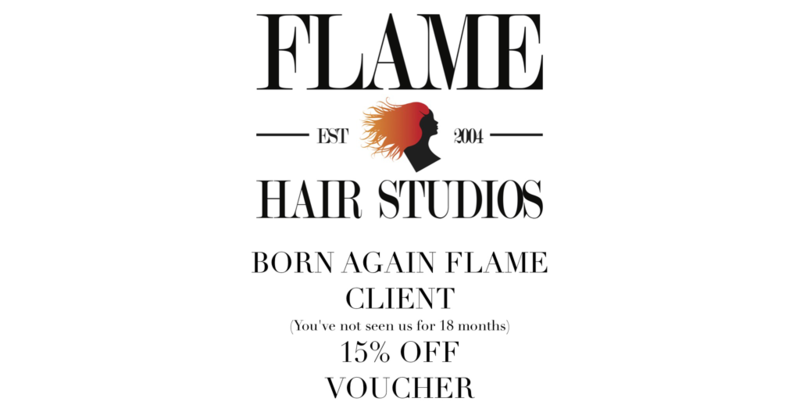 15% OFF FOR BORN AGAIN FLAME CLIENT! We understand sometimes people like to fly the nest. When your ready to come back we will welcome you with open arms back to the Flame Family! For our fabulous over 60's we have our Club Silver. A special club offering you 15% OFF on Tuesday's and Wednesday's on all services! All you have to do is book in on a Tuesday or Wednesday quoting Club Silver. All you need to do is show your student card at the end of the service when we check you out.